MEDLEY, FL – All Florida Paper, a leader in the distribution of disposable products in 10 markets (including food service, grocery, healthcare and lodging), today announced that Alexander Hannett, the company’s Manager of Corporate Strategy and Marketing has been honored with the Bronze Stevie® Award for Marketing Professional of the Year at the 2014 American Business Awards in Millennium Park, Chicago. Hailed as “the business world’s own Oscars” by The New York Post when they started in 2002, The American Business Awards are the nation’s premier business awards program. This year, more than 3,300 nominations were submitted, and just seven finalists were selected for marketing professional of the year. The finalists were judged by more than 100 business leaders from across the United States. 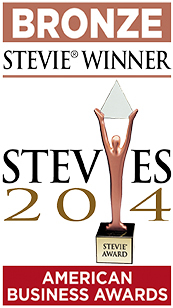 The Stevie® Awards were presented on June 13th in Chicago, and broadcast nationwide on Business Talk Radio. Hannett was recognized by the American Business Awards for his innovative thinking and creative branding initiatives while managing the marketing department at All Florida Paper, an Inc. 5000 company. “He developed an industry leading website in the multibillion dollar distribution industry” said Caceres, actively managed the company’s intellectual property, developed and marketed the company’s 401(k), and supported the company’s expansion in consumer markets among others. This was done after Hannett moved to Miami from Virginia without a job, money or a place to live, pursuing his professional dream in marketing. 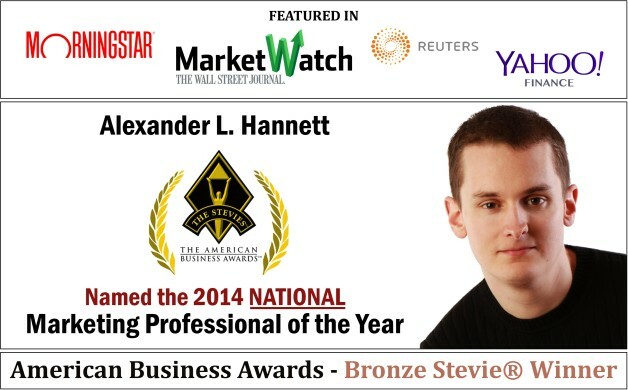 Aside from The American Business Awards, (also known as the Stevies®), Hannett has been elected to the Alumni Board of Directors of Barry University at age 29, Named the 2014 Rookie of the Year by the Greater Miami Chamber of Commerce, and Nominated to the 2015 Edition of Who’s Who in America®, as well as to the 2014 South Florida Business Journal’s 40 Under 40 Awards. Over 400 business leaders and their guests from across the United States were at the Fairmont Chicago Millennium Park Hotel for The American Business Awards. Other notable Stevie® winners included Accenture, Google, Discover Financial Services, General Electric, Yahoo!, American Express, and AT&T. To learn more about the Stevie Awards, and for details about the 2014 American Business Awards, including a full list of winners who were announced on June 13th at the Fairmont Hotel in Chicago, please visit www.StevieAwards.com/ABA where they will be immediately available.